Saving Moms Money: Free Sample Loreal EverPure shampoo! Free Sample Loreal EverPure shampoo! 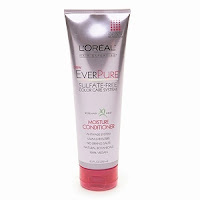 Click here to sign up to get the Loreal EverPure shampoo sample by mail! If you are nor a member you need to register, it only takes a minute. There are also many coupons available such as $1 off any product and $2 off the cleanser and $1 off True Match.